M1’s 9M17 results were broadly in line. Fixed service revenue remained the bright spot, up 21% YTD, which more than offset the decline in mobile and international call revenues. We expect rising handset subsidies to weigh down on earnings in 4Q17 on the back of the recently-launched mySIM plans and new handsets offers. M1’s core earnings are projected to fall by 11.2% YoY in 2017 on intensifying competition as telcos aggressively lock-in customers ahead of TPG’s entry (we are projecting 2- year earnings CAGR of -14.2%). M1 trades at -1SD below its post GFC EV/EBITDA mean, with its share price underperforming the STI by 18% YTD – the worst among domestic peers. We believe the sharp de-rating has priced-in to a large extent, earnings risks from the fourth entrant. Maintain NEUTRAL and DCF-derived TP of SGD1.90. M1's 3Q17 core earnings fell 4% YoY on higher depreciation and interest expense but were relatively stable QoQ on higher EBITDA. This brought 9M17 core earnings to SGD101.5m (-14% YoY), at 77% of our and consensus estimates. We deem this as broadly in line as subscriber acquisition cost (SAC) is expected to trend higher in 4Q17 from the launch of new handsets (iPhone 8/10) and the enhanced mySIM plans. Fixed service remained the fastest growing segment, up 21.4% YoY in 1H17 (3Q17: +20% YoY), and now make up 12% of overall revenue from 10% in 2016 – this is supported by multi-year private sector and government jobs (including smart nation initiatives). Mobile service revenue up 3.4% YoY in 3Q17. Postpaid revenue posted the first YoY growth since 1Q15 on stronger take-up of upsized data plans, higher data consumed (80% of postpaid subs on tiered data plans with 33% exceeding primary data bundles) and stronger contribution from Circles.Life – its mobile virtual network operator (MVNO) customer. Prepaid revenue however slipped a further 13.2% YoY on stiff competition from over-the-top (OTT) applications and voice substitution. Average postpaid data consumed continued to inch higher at 4.2GB/sub/mth from 3.9GB/subs/mth in 2Q17 (3Q16: 3.4GB/subs/mth). New mySIM plans target new customers ahead of TPG’s entry. 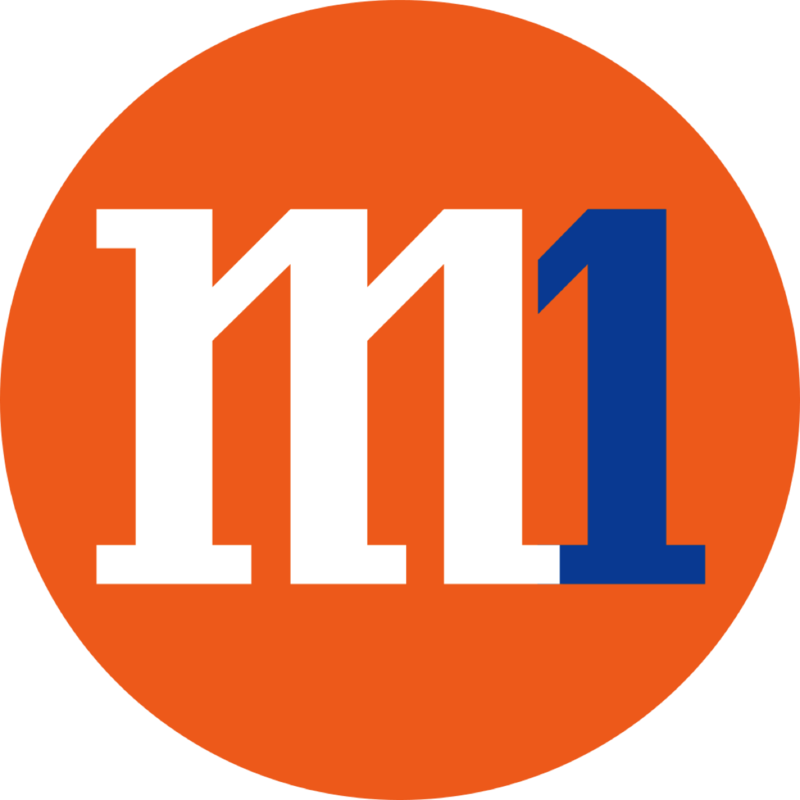 M1 has captured 11,000 customers on the new mySIM plans, which were launched in late August. Subscribers of the plans can also sign-up for subsidised handsets via a 2-year contract by paying SGD20-30 more a month on top of their monthly commitment via new offers introduced on 13 Oct.
We view the introduction of new data plans as largely pre-emptive and comes ahead of the launch by TPG Telecoms (TPG). The data-centric plans herald the return of unlimited mobile data in the market (tiered data plans were launched in 3Q12 to replace unlimited offerings). Management revealed that about 40% of those taking up the plans are new, with the remainder from customers recontracting. While M1 has commercialised the nationwide narrowband internet of things (NB-IoT) network, management believes that mass market adoption is still some time away due to the evolving eco-system. That said, there remains good long-term revenue opportunities with M1 already collaborating with various industry verticals. NEUTRAL call maintained with unchanged DCF-derived TP of SGD1.90 (WACC: 8.5%, TG: 1.55). Management has retained the earlier guidance of a decline in 2017 net profit and capex of SGD150m. We make no changes to our forecasts. M1’s core earnings are projected to fall by 11.2% YoY in 2017 on intensifying competition and as telcos aggressively lock-in customers ahead of the entry of TPG. M1 trades at -1SD below its post global financial crisis (GFC) EV/EBITDA mean, and M1's share price has underperformed the STI by 18% YTD – the worst among domestic peers. Key risks include stronger/weaker-than-expected competition, larger/smaller-than-expected capex and negative/positive dividend surprises.